This itinerary was an easy one to throw together because I am someone who loves to cruise and I love Mexico! This fun & quick little getaway is perfect for someone who doesn't have much time to escape, but is looking for a great tropical location to run off to. The best part? Once you're booked and you've squared away your gratuities and all packed up, everything else is pretty go-with-the-flow and will be sure to keep your stress away on this vacation! Miami is known as the cruise capital of the world. But it’s more than just convenient — rev up for your cruise from Miami with the city’s nonstop action, from party-ready South Beach to the Mediterranean style of Coral Gables, plus spicy Little Havana, which hums to an island beat. Once you’ve experienced all the South Florida architectural beauty, energetic street life and sun-kissed beaches, you may want to extend your stay in the Magic City after your cruise returns. Be sure to arrive at your check-in on time and the ship departs at 4:00! The southernmost island of the Florida Keys, Key West is a sunny, fun-loving place with plenty of charm, and more than a little touristy goofiness. (But that’s optional.) Key West cruises deliver you to palm-shaded streets lined with gaily-painted bungalows, vintage saloons and blooming tropical flowers. Whether life’s a beach or you’re life of the party, cruises to Key West definitely over-deliver. Travel by motorized catamaran along Cozumel's coast to Isla Pasion, a beautiful picture perfect private island where white sandy beaches and clear turquoise waters meet. 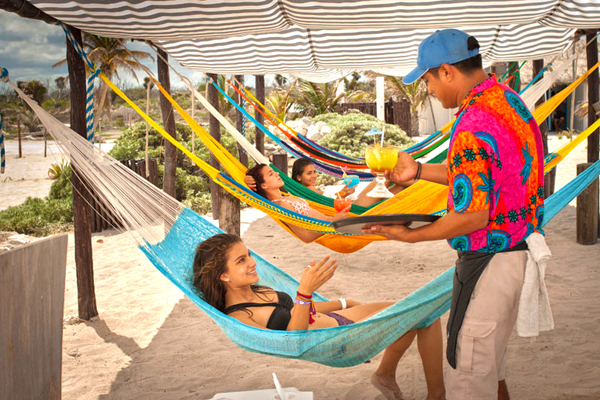 After boarding your catamaran, enjoy a scenic 45-minute cruise to Isla Pasion for a day of relaxation, swing in a hammock, browse the souvenir stores, swim or sunbathe, enjoy complimentary beach chairs, or for the more active your choice of volleyball and kayaks. Complimentary domestic open bar serves both non-alcoholic and alcoholic beverages. Lunch features a Mexican-style buffet with guacamole, barbecue chicken and grilled mahi-mahi, fresh fruit and more. Enjoy a fun day at sea as you head back to Miami for debarkation. Splash in the pool, hit the water slides, join in on the deck party or explore any of the indoor options that the Carnival Victory has to offer! The trip is over and it is time to get off of the ship, but that's okay because it means you get to head home to plan your next trip! Or you can always stick around for another day to play around Miami. Debarkation starts at 8:00am! Please feel free to contact me with your travel needs and if you’d like me to book this trip or a similar one for you! With a customized itinerary put together just for your needs and your travel style, you will be sure to maximize your time wherever you go!